How gastric reflux can ruin a singer’s day or even career! Singers who suffer from gastric reflux, also known as gastro-oesophageal reflux, acid reflux, indigestion, heartburn, GORD (UK) or GERD (US), will relate to the frustration and anxiety of singing with vocal folds that have been affected by this condition. I am fortunate and do not suffer from reflux but I have been surprised at how common the condition appears to be amongst singers. Maybe it’s because even in the case of a mild attack the results are immediately noticeable as there is a direct impact on the singer’s voice; maybe it’s the erratic lifestyle, with late nights and poor eating habits or the stress of the job. Whatever the cause its impact is detrimental on a working singer. I have spent many a session consoling singers who are losing gigs and confidence because their voice is ‘out of control’ due to reflux issues. It seems to particularly impact the middle register of the voice. (Men: ~Eb4-Ab4 and women: ~Ab4-Gb5). On the occasions that I have observed ENT Voice Clinics at The Royal National Throat, Nose and Ears Hospital in King Cross, London, it seemed that every second person that was examined had reflux to some degree. When I asked the examining consultant about it he agreed it seemed to be a common complaint amongst singers. Fortunately, because it is generally a common condition there is a lot of information, advice and treatment available. It seems most of us experience gastric reflux symptoms at some stage in our lives, for instance after a large meal. Studies have shown that about 1:3 adults experience some symptoms every few days, and nearly 1:10 adults experience it daily. Often it is mild and soon passes. However, some will experience frequent symptoms that may be severe enough to affect the quality of life. Regular gastric reflux is more common in smokers, pregnant women, heavy drinkers, hiatus hernia suffers, the overweight, highly stressed people and those aged between 35 and 64. 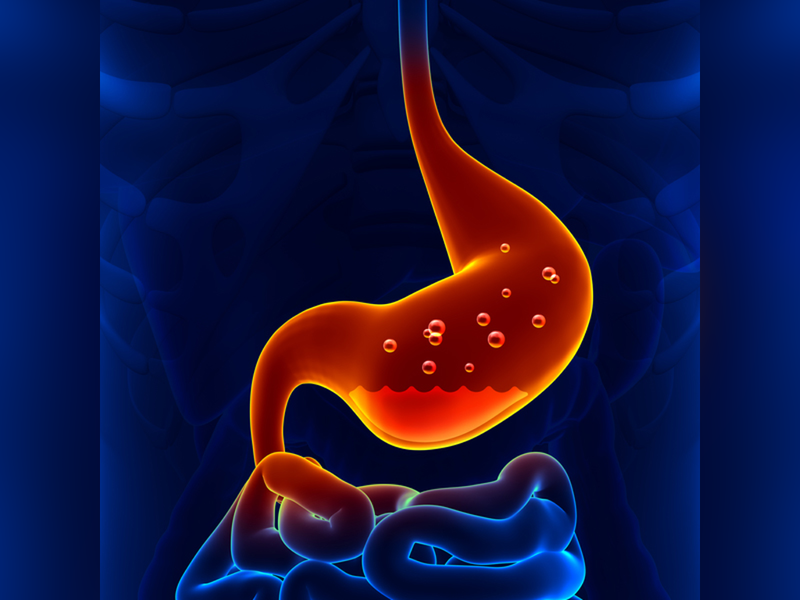 Gastric reflux occurs when digestive acid rises up from out of the stomach. There is a circular band of muscle at the opening of the stomach (lower oesophageal sphincter). This sphincter acts as a one-way valve keeping stomach contents from flowing back up. But if the sphincter is weak or not fully functional the highly corrosive fluid can flow back up into the food pipe (oesophagus) and reflux results. The vocal folds are situated at the top of the oesophagus, as the acid ascend it can touch the vocal folds and consequently it will burn the delicate covering of the folds. Even just a few drops of stomach acid will cause corrosive damage. Left untreated reflux can lead to ulceration, tumours, nodules and tissue scarring. It may also predispose the sufferer to cancer of the oesophagus or larynx. Common symptoms may include upper abdominal discomfort or even pain after eating; a bitter taste in the mouth; frequent throat clearing; excessive mucus; a ‘lump’ sensation in the throat; a gag reflex when cleaning teeth and at times difficulty with swallowing. Some people have no obvious symptoms, only getting diagnosed on closer inspection because they’ve experienced a change in their vocal tone or control. 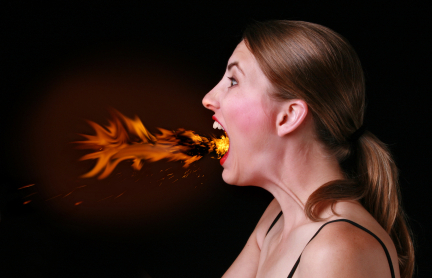 Untreated reflux will have a serious impact on the voice. The acid burns the vocal folds causing them to become red and swollen. Presence of the stomach acid where it does not belong will stimulate an overproduction of mucus in the vocal tract which may require frequent throat clearing or coughing. Other symptoms may include chronic hoarseness; loss of voice; loss of vocal range; difficulty with phonation (sound making); absent pitches through the range; a lower and rougher sounding voice, especially in the morning; the need for prolonged vocal warm-ups before the voice is ready to sing; increase in vocal fatigue and a reduction in good breath control. Just what a singer needs, not! If you are suffering from this condition you may find my next blog with 10 top tips to reduce the impact of gastric reflux on your voice helpful in controlling the symptoms along with any advice your doctor has given you. If you think you might have reflux it is also important to see a medical doctor for a proper diagnosis and follow any medical advice you may be given. In the meantime, you can start by following my top tips, give it a couple of weeks and see if you notice a difference. You may need to experiment a bit with foods and routines find the right balance for you. There isn’t one hard and fast rule for GORD control, other than to discover what suits you and stick to it. Maintaining control of your reflux will ensure your voice stays healthy and ready for singing at all times. If you get slack then it may take several days, if not longer, to get the voice back to a healthy state. It will only take one night of acid reflux to cause significant damage. In extreme cases, the doctor may need to prescribe full vocal rest. Most singers can’t afford to be out of singing action for days, so don’t go there! It’s your instrument and your responsibility, treat it well and you will reap the rewards. Here is a YouTube link to a video made by a gastroenterologist (that’s a doctor of the digestive system: top to bottom!) discussing GERD. Here’s an article in the Daily Mail about singer Laura Critchley who suffered from reflux and thought she was going to lose her career.